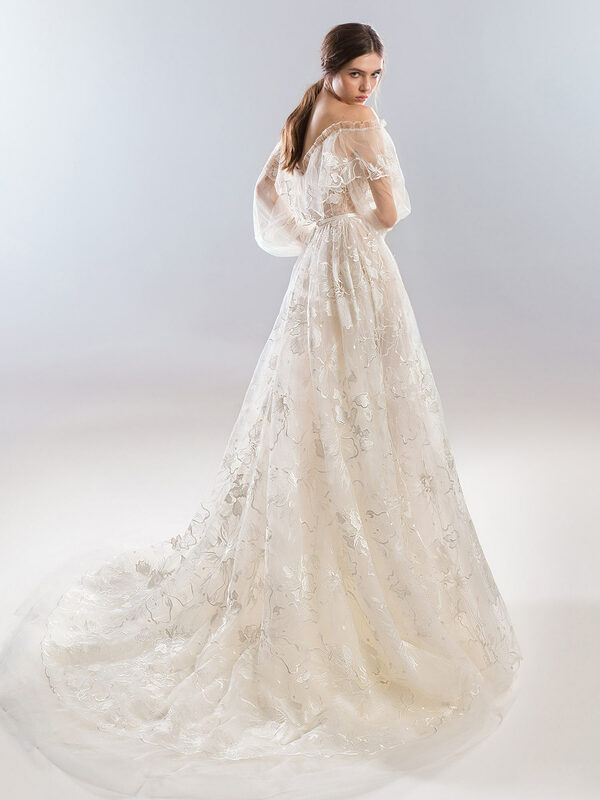 Flowing off the shoulder A-line wedding gown with bishop sleeves in a floral print is slightly sheer and effortless. 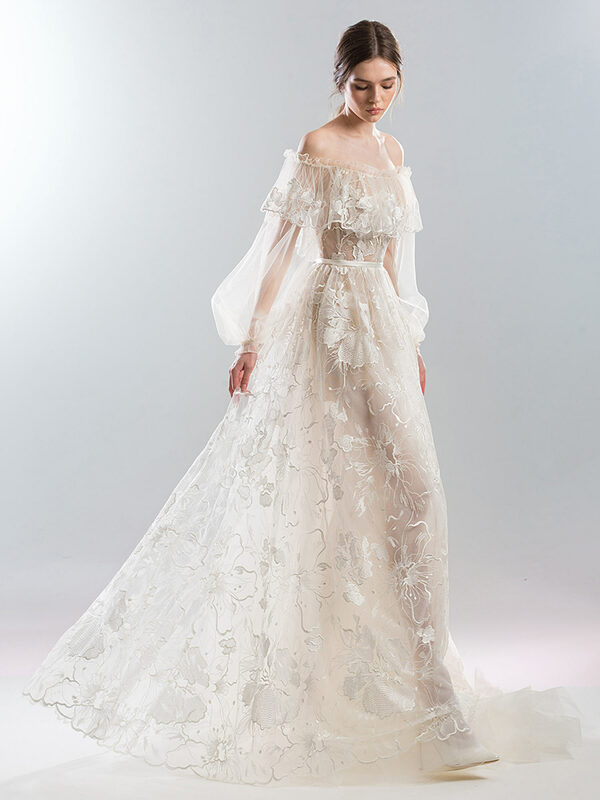 The gown has a long train and is belted at the waist for a beautiful silhouette. The neckline has a dramatic ruffle layered over the sheer bodice.